Tata Motors recently updated the Safari Storme with a Varicor 400 engine upgrade which now makes 156PS of power and 400Nm of torque. 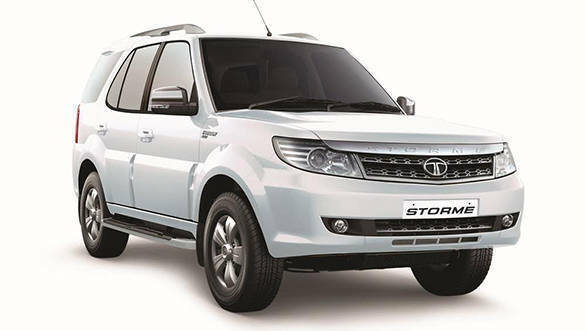 With this addition, the new Tata Safari Storme has become more competent to take on its immediate rival, the XUV500. However, even the XUV500 received a facelift few months back with a revision on the exteriors and interiors. In terms of design, the new Tata Safari Storme doesn't really look all that different compared to the earlier model as it is only the radiator grille on the front profile which was changed to make it look more like that of the Evoque. Even the silhouette has been left unchanged and except for the Varicor badges, it still looks the same. The new Mahindra XUV500, however, looks distinct with new bumper, LED guide lights, repositioned fog lamps and additional chrome bits which don't look out of sync. To the side, there are new alloy wheels as well as chrome highlights on the window line. The rear tail gate gets new chrome appliqué above the number plate. 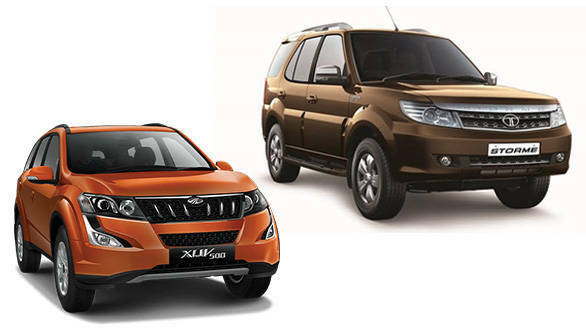 Mahindra launched the new age XUV500 in a new bright Sunset Orange shade. The interiors of new Tata Safari Storme look and feel better than the earlier offering as it gets brand centric steering wheel; a standard feature on all new Tata cars. The lines, layers and colours on the dashboard make it feel premium. Importantly, it has a Harman stereo with improved audio output and an updated Bluetooth system for better connectivity. The cabin of Mahindra XUV500 feels plusher with new shade of beige and black neatly layered on the front dashboard. The central infotainment screen gets a larger display with an updated user interface. It also gets six-way adjustable power driver's seat. 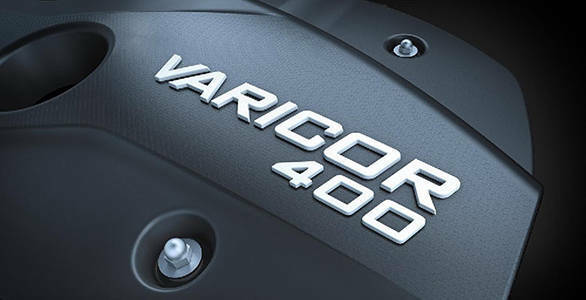 The main highlight of the new Safari Storme VX is the Varicor400 engine. It has been tweaked to deliver 6PS more power and 80Nm of additional torque. As a result the 2.2-litre engine now makes 156PS of power at 4,000rpm and 400Nm of torque at 1750-2500 rpm. This motor is paired with a new 6-speed manual transmission. 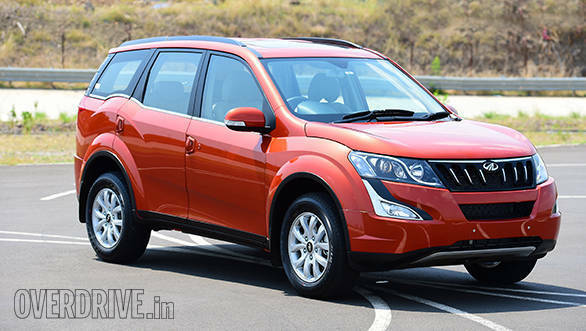 The new Mahindra XUV500 too gets a 2.2-litre motor which makes 140PS at 3,750 rpm and 330Nm at 1600-2800 rpm. The performance numbers of the Safari Storme are higher but then the XUV500 is lighter as it has a gross weight of 2,510kg whereas the VX 4x4 weighs 2,665kg. 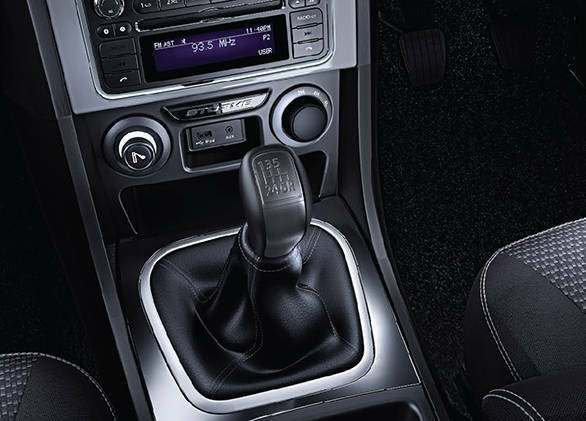 Also, the XUV500 features an optional 6-speed automatic transmission. The prices of new Tata Safari Storme range between Rs 10.42 lakh to Rs 14.91 lakh (ex-showroom Mumbai) while the XUV500 variants are priced between Rs 11.38 lakh and Rs 17.22 lakh (ex-showroom Mumbai). The difference in price between top end variants of both the new Tata Safari Storme and Mahindra XUV500 is of Rs 2.3 lakh but then the latter has a monocoque construction and comes loaded with features. We will soon be doing a detailed real world comparison analysis of both these SUVs.